A "Wizard of Oz" Epic Adventure for the 21st Century Reader. 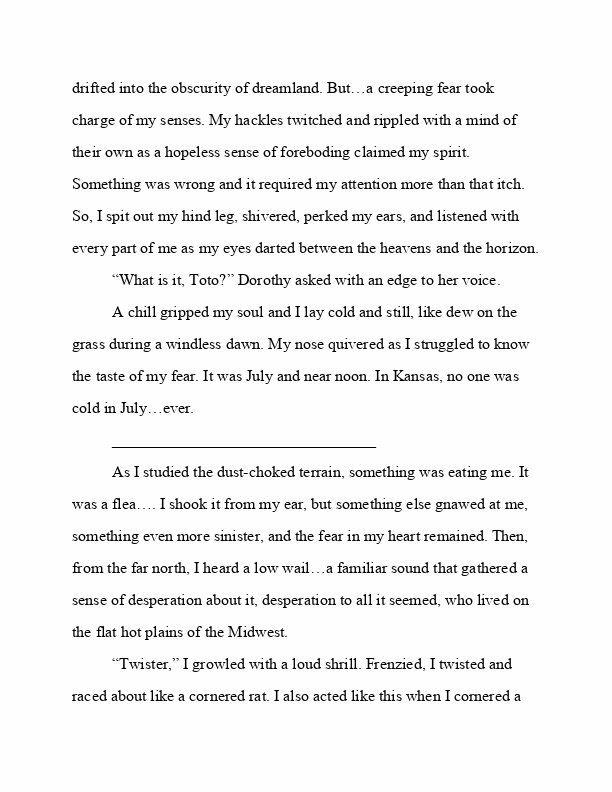 Book One, "Toto's Tale" and Book Two, "Trail of Tears" form a complete series. 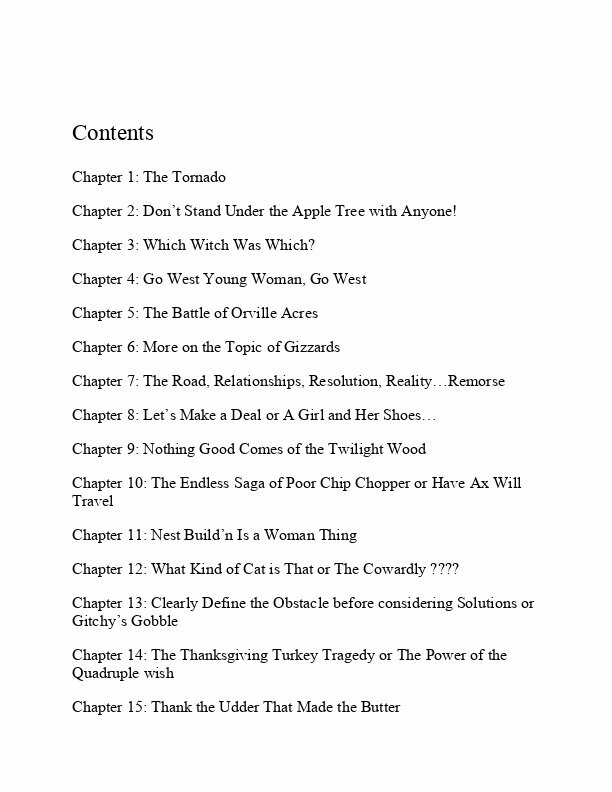 In Book Three, the title, settings, themes, plots, and new characters will be chosen from the ideas of contributing readers of "Toto's Tale" and "Trail of Tears". 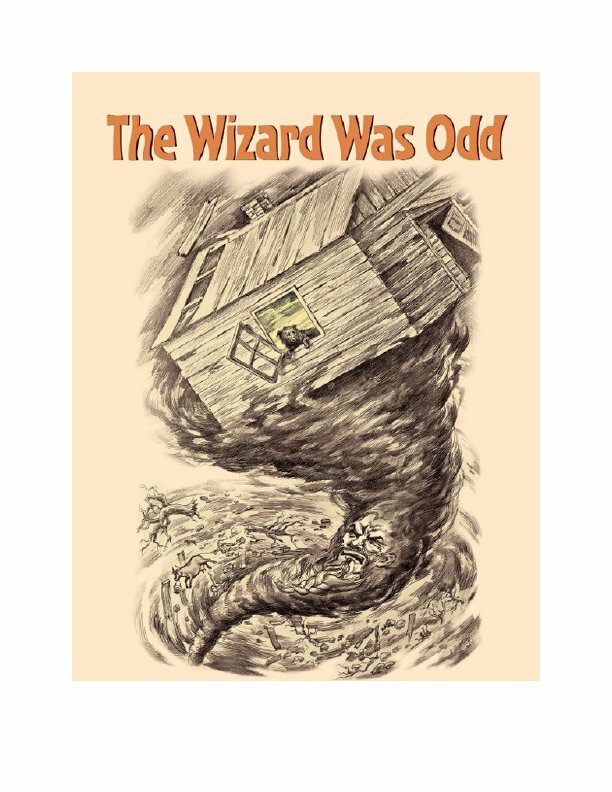 The overall theme: A couple of days in Oz equals a year in Kansas where Uncle Henry is dying; If the Wizard will provide the cure, will Dorothy find her way home…and in time, to make a difference? 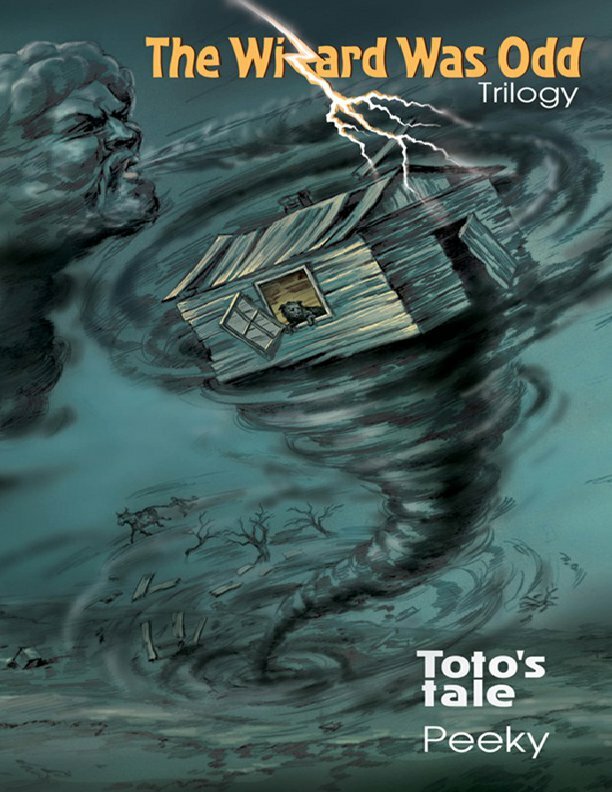 Toto's Tale, the first of The Wizard Was Odd trilogy brings the 21st century reader a cast of new and updated characters. Often bizarre and always unique, their personalities have depth and a complexity in tune with our times. The story line, situations, and characters’ relationships, though off-world, are real-world with complicated plots, unexpected twists, subtle romance..., mystery, lots of wonder, and some serious magic. Toto's Tale, loosely follows Baum’s yellow brick road to the Emerald City. However, not all yellow brick roads are the same. With larcenous literary and artistic license, copious wit, and tongue-in-cheek humor, Toto’s Tale will appeal to readers of all ages. 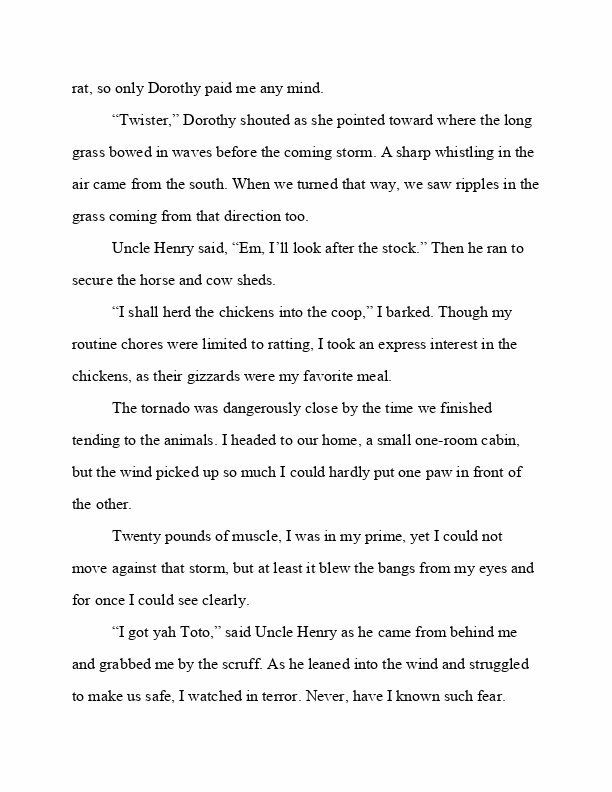 In Trail of Tears, the second book of the trilogy, much of the setting takes place with new characters and in the lands of Western Oz where the comrades agree to accept a mission from an eccentric Wizard to secure an all-seeing spyglass held by the Black Queen of the Western Commonwealth. Circumstance require the comrades return East, to Oz, by Devil’s Walk through the Underworld. Deadly, dark, and dismal, this treacherous expanse is inhabited by unimaginable evil. The pocks, pockets, and caves that belch sulfur and volcanic heat harbor hungry Firewalkers, the spawn of Hell’s Hearth, Godless spider-like half-human miscreation’s. Elsewhere, in the Valley of the Vegans, the sweet scent of nightshade and cool forest mist brings peace and contentment to the weary traveler while intelligent soul-seeking plants, spiritual vampires subtly work to seduce their victims. Bedraggled and beaten, those who return come to realize that the Wizard they staked their future on is devious, treacherous, and probably lacking the sanity, magical skills, and desire to grant their wishes. Unpredictable twists of fate lead the reader to an ending unlike any other adaptation, spin-off, rendition, sequel, or Oziian reinterpretation. A commemorative series from a unique perspective, Toto's! A multidimensional plot-twister w updated cast of wondrous, quirky misfits. Alongside Toto, you will ride in the front seat of a thrilling and emotional roller coaster throughout the magical Land of Oz…and beyond. This Wizard of Oz takeoff is a multidimensional plot-twister as told from Toto's perspective that includes an updated original cast and a host of other wondrous quirky social misfits. With many surprises along the way, this complex and intriguing parody has as much tongue-in-cheek humor as it does original content, adventure, mystery, fantasy, and romance. If blockbuster series with witches, wands, warlocks and magic kept you coming back, then "The Wizard Was Odd Trilogy" will grab you and won't let you go! 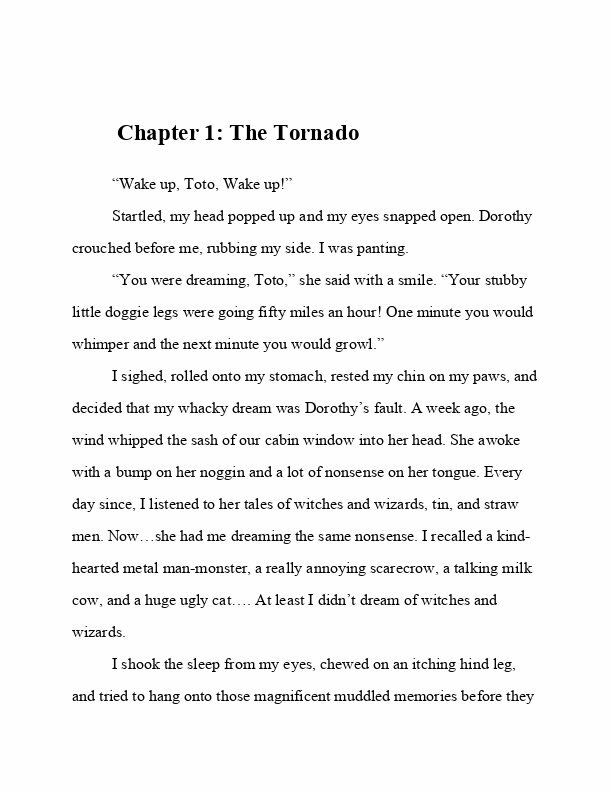 The Trilogy is A Commemorative Wizard of Oz, Epic Adventure...For 21st Century Readers. 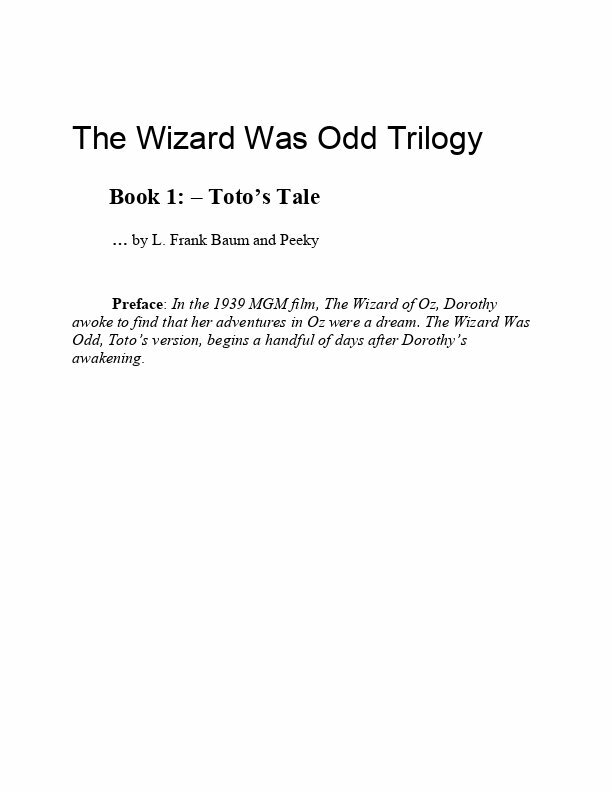 Recollected and presented in first person by Toto, this trilogy offers a unique perspective, Toto's! It is a multidimensional plot-twister w updated cast of wondrous, quirky misfits. The original Wonderful Wizard of Oz was first published in the year 1900. America was for the first time, the world's most affluent country, yet, electrical lighting, indoor plumbing, and automobile ownership were not widespread. There were less than 8000 cars on the road and no more than ten miles of paved roads. At the turn of the century, "technology" was about bringing improved 19th century innovations to the public: phonograph, records, the combustible engine, telegraph, and telephone to name a few. In 1900, "technology" was a train that could bring you the same distance in six days that a covered wagon brought you in six months. Cross-continental travel became easier and more affordable. Today, "technology" means medical miracles, lasers, drones, stealth bombers, satellite surveillance, space station, cyber warfare, and quantum computers. The first "Wizard of Oz 1910 film" easily located on YouTube is well worth watching. Setting amusement aside, one has to strain the imagination to find similarities in this 1910 version to Disney's recent film, "Oz The Great and Powerful". Now, a century later, incredible graphics in games and films have raised the bar. Today's fantasy lovers expect "fantastic" and it takes "awesome" in books and films to meet the expectations of fantasy lovers today. The Wizard Was Odd trilogy has that kind of universal appeal. The glorious Lands of Western Oz, with elements of fantasy, steampunk, and science fiction coupled with its bizarre inhabitants, and their extreme subcultures will draw today's game-minded youth into an Oziian world unlike any other. The rest of us - who've grown up and older with Baum...our attraction to The Wizard Was Odd, will be magnetic. Why - because Oz's ever-changing characters and plots are part of this fantasy-fairy-tail universe that is comfort-food to our soul. It's this irresistible lure…this indefinable mystique that draws so many of us not only to that magical Land of Oz, but to Star Trek, Star Wars, and Harry Potter. The big difference, however, is that Oz has held the publics' attention for nearly 120 years! We know Baum's book. We've seen MGM's movie, countless versions, and remakes. Yet, after 120 years, we find ourselves compelled with joy, anticipation, and a bit of excited trepidation to once again, walk that yellow brick road. This time it is to commemorate the Great Man himself, L. Frank Baum for his Wonderful Wizard of Oz 120th anniversary. Bob Moyer (pseudonym - Peeky) has been writing fiction for children, young adults, and adults young at heart for nearly ten years. 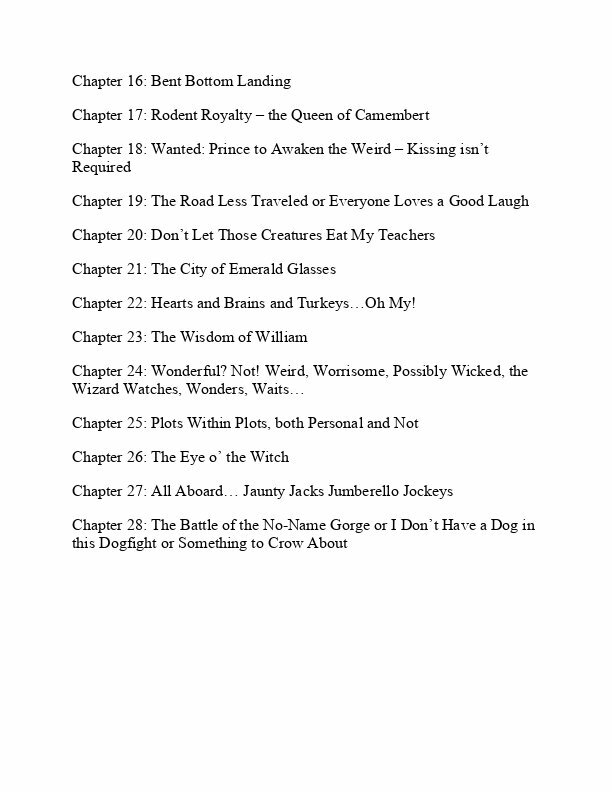 The following childrens stories/writings will be posted to his website at Oziian.com or www.WizardWasOdd.com in the near future. "The Calamitous Attitude of Kat Katitude" is about teenage and young adult cats living together as roommates. Another is a bedtime ditty - "No Such Thing", "Fast Food" is a picture book without words about a slow spider trying to catch fast insects, and the list goes on. Professionally, Bob Moyer has been a trainer, a guest speaker, and featured writer for over thirty years in the community association industry. In addition to having a Bachelor's degree from Florida State University in Accounting, he has been a Florida Real Estate Broker, a Licensed Community Association Manager (LCAM), the President of, and one of the principals in The Vanguard Management Group, Inc. Bob is also a past President of CEOMC, an organization comprised of Chief Executive Officers of Management Companies. Its members are committed to promoting and protecting homeowner associations throughout Florida, engaging in advocacy and setting the standard for community management. Bob began writing for children in 2010 and belonged to the Society of Children's Book Writers and Illustrators (SCBWI) for many years. In 2012, he and his wife Janet concluded a busy week with a night on the town. His opening question to her was, "So Dorothy, how is Toto?" 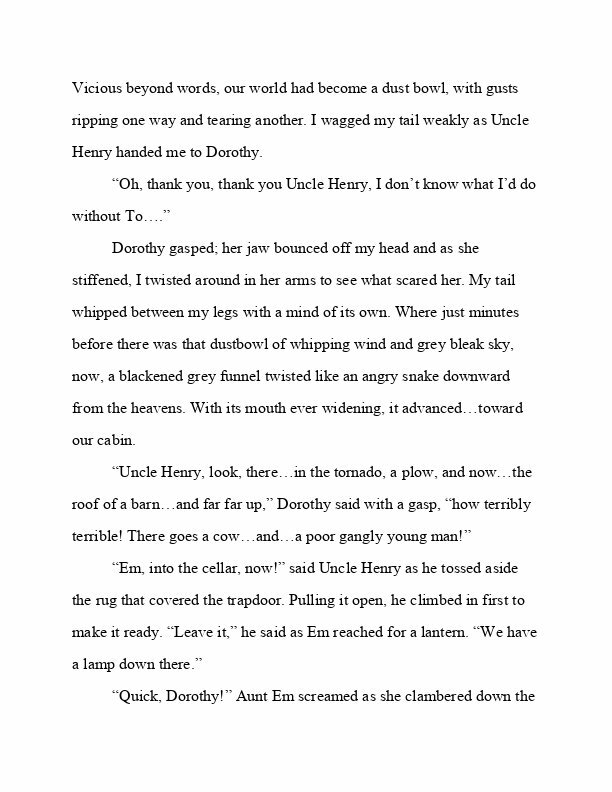 From that nugget, he created a version of the Wizard of Oz featuring Toto as the main character. 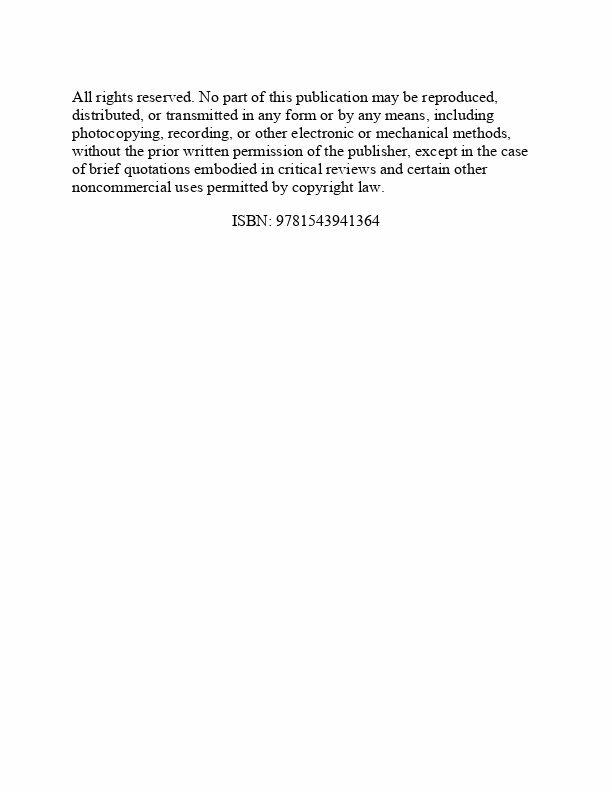 With the input of the readers first two books, he intends to create the third book of the trilogy by 2020. This series will be a celebration of the 120th year of the first printing in 1900 of the original "Wonderful Wizard of Oz" by L. Frank Baum.